Hammond – not interested in cars! The motoring press were also puzzled by Hammonds interview and we came to the conclusion that he had got himself confused with studded tyres as used by professional rally drivers on closed Nordic roads. The problem with Government of all persuasions is that ministers need not be experts in the ministries that they head. Even the top civil servants employed in a branch of government are not usually hired because of their expertise in that area. Sadly individuals with Scientific or Technical expertise are very much under represented in Government. To be honest, I have little confidence in any Government to make the right decisions, – throughout the world global warning issues based on scientific reasoning are being disregarded. I anticipate an exciting year for vehicle developments as it becomes universally apparent to the Thinking Class that we must reduce our dependency on fossil fuels. I was a pathfinder in the 1970’s because I drove a diesel car, the unusual Golf 1500d. Diesels are now commonplace but in 1976 few people had heard of a diesel car. I experienced the same problems faced by the current early adopters of electric cars – fuel stations did not cater for diesel cars so long journeys had to be planned to avoid running out of fuel. In my local territory I was able to get fuel from hauliers who operated pumps for their own lorries. On long journeys I carried spare cans. When I did find a diesel self-service diesel pump, the manager would always rush out and try to stop me from putting diesel in my car. If I were to undertake a long journey in an electric car today I would have to fit a tow bar and pull a small generator to keep my batteries charged up. Unlike my Diesel Golf the range of electric cars is quite restricted, charging points are few and recharging may take hours. 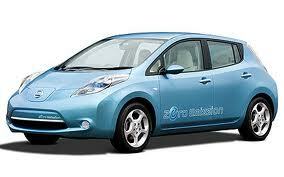 However technology is moving on a pace and the range of electric cars is improving dramatically. Unlike the leading edge diesel Golf Mk1 which was slow and noisy, the current generation of electric cars are remarkably sprightly and obviously very quiet. Early adopters will unfortunately need to pay a hefty premium but potentially, electric cars will be cheaper to manufacture than the current fuel burners.